Stefan Kiessling, assistant organist at the Thomaskirche in Leipzig, Germany, will perform a recital at St. Stephen’s Church, Pro-Cathedral for the Episcopal Diocese of Bethlehem, 35 South Franklin Street, Wilkes-Barre on Friday, September 29 at 7:30 p.m. An offering of $15 per person ($10 for students and seniors) is suggested. The recital will feature works by Bach and Mendelssohn, along with Max Reger’s thrilling Fantasy on Ein feste Burg ist unser Gott (A mighty fortress is our God) in commemoration of the five hundredth anniversary of the Reformation. Mr. Kiessling is an internationally known concert organist, having been invited to perform recitals and give masterclasses across Asia, Australia, Europe, and the United States. 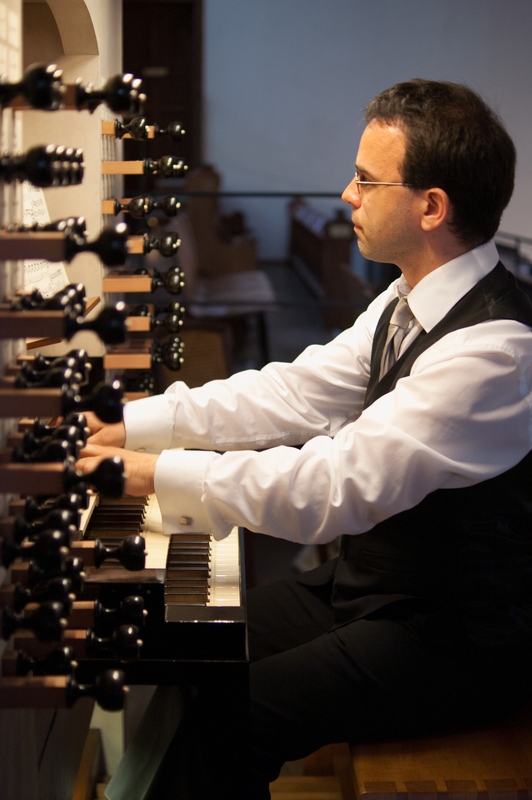 As assistant organist at the Thomaskirche in Leipzig, Germany, Kiessling provides liturgical music, performs recitals, and assists with the church’s boys choir and Gewandhaus Orchestra. The church has a long history of distinguished musicians: Johann Sebastian Bach served there as Kapellmeister from 1723 until his death in 1750. The recital is being sponsored jointly by Music from St. Stephen’s and the Pennsylvania Northeast Chapter of the American Guild of Organists.